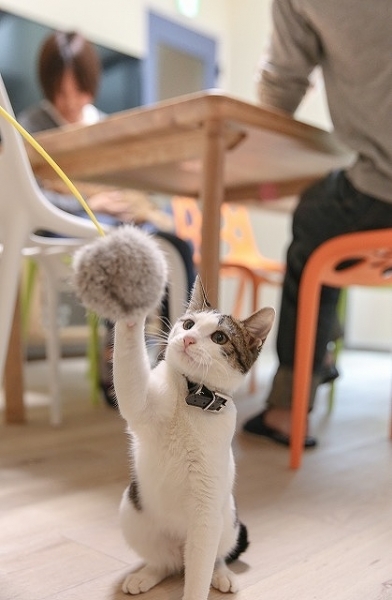 If you want to let your cat play freely at home, but you are worried about allowing it to go outside, then Gobankan, which will newly open in Edogawa-ku, Tokyo is the place where your dreams come true. Residents are all ailurophiles like yourself, so it will certainly make a comfortable home for you. 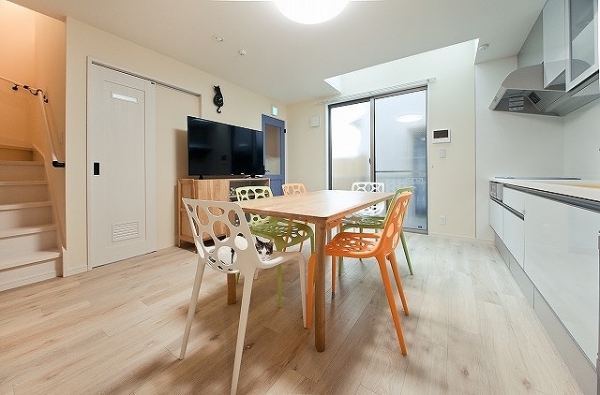 The large dining and kitchen area will surely be a space for both residents and cats to communicate with one other. The facilities are designed for the comfortable living of residents as well as cats: all bedrooms are equipped with air conditioning and a wash basin just in case you need one. Since the bedrooms are furnished with a bed and curtains, you can start living here straight away. Isn’t it reassuring that the rooms on the second floor are reserved for women only? All grass panes in the house are coated with Air Plot, which breaks down the smells of pets, pollen and house dust; therefore, the house itself takes care of the smell of residents’ cats. Just a 5-minute walk will take you to Koiwa station of Keisei Line, where you can find a supermarket operating 24/7 as well as shopping arcade, so you won’t have problems in shopping around. Since the nearest pet clinic is only 5 minutes’ walk away, you don’t need to panic in the emergency. The river bank of Edogawa River near the house is perfect place for having a stroll. You can also find a lot of green around the house, including parks where you can enjoy cherry blossoms in spring. It will be a great place for you to start a new lifestyle. 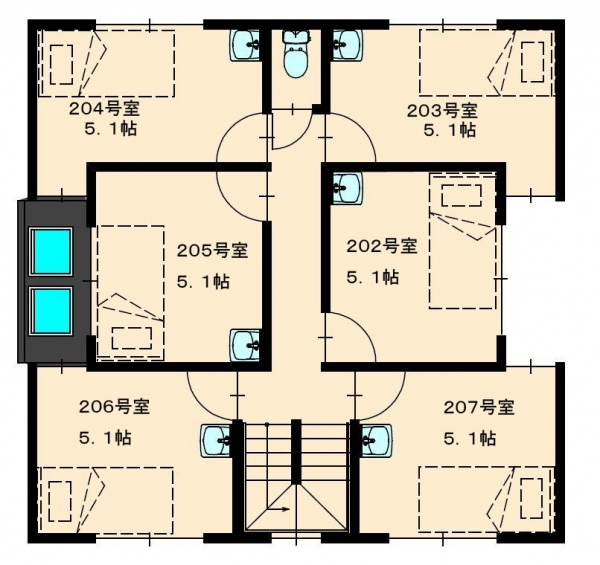 5 minutes walk from Keisei-Koiwa Station. 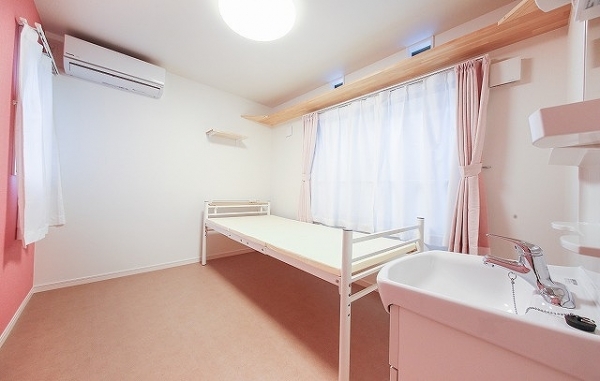 14 minutes walk from Shin-Shibamata Station. 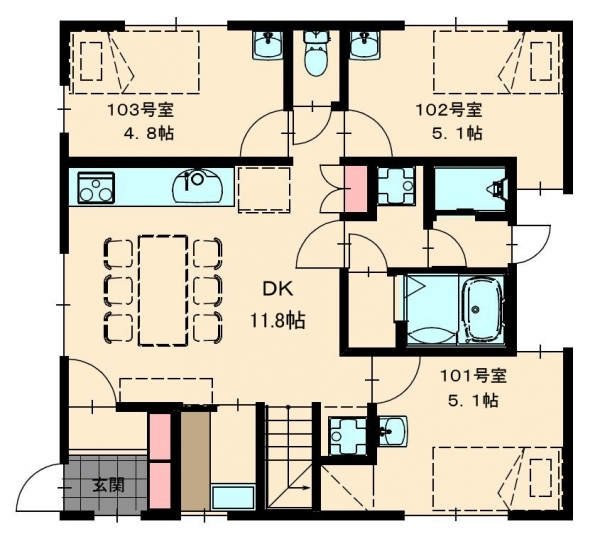 19 minutes walk from Koiwa Station.